The Fender American Special Series Telecaster features timeless looks, world-renowned tones and rock-solid U.S. guitar-building skill, and r.. 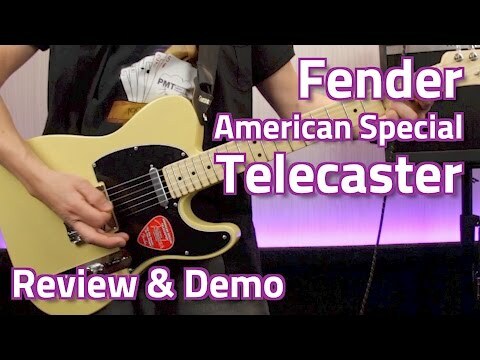 The Fender American Special Series Telecaster features timeless looks, world-renowned tones and rock-solid U.S. guitar-building skill, and represents an amazing new value from Fender. A lightweight alder body keeps the action comfortable, and sets the foundation for classic Tele 'twang'. Texas Special Single-Coil pickups dish out delightful Telecaster tone thanks to a modified Greasebucket circuit under the hood - essentially rolling off the top end to give it that vintage creamy vibe and providing more control over tone without losing out on volume. Additional touches include a Rosewood fingerboard with 9.5" radius, 22 jumbo frets, and a maple neck. A string-through-body bridge with three brass saddles offers eminent vintage style.In stunning Lake Placid Blue and an included gig bag, this is a simple, versatile and lasting guitar. You'll love it!